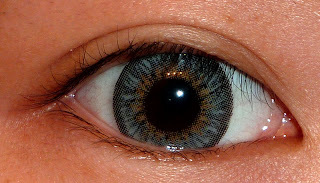 The Puffy series have a realistic pattern with a darker (but not black) outer ring, sunburst color ring, and a smaller ring of light brown in the middle. 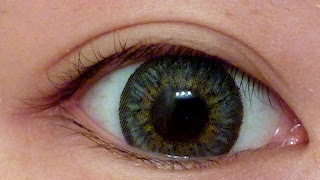 They mimic "real" colored eyes pretty well, and the color intensity is good under most light too. 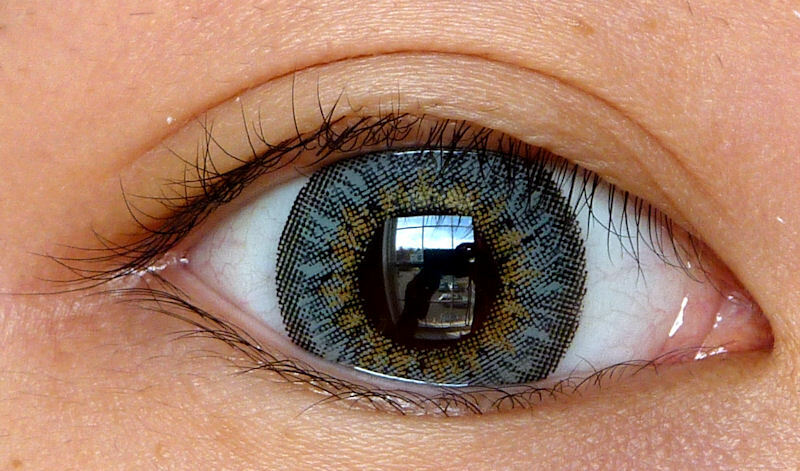 These lenses have 14.5mm diameter, and the enlargement is quite decent. The soft outer ring prevents them from looking unnaturally large. 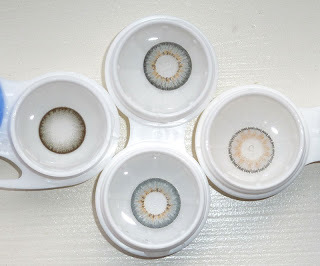 Compared to my favourite light grey lenses, Neo Cosmos Glamor Grey, the Puffy grey are darker and slightly blue-tinted. The Puffy are also larger in diameter. Another pair of grey lens I like a lot are the Neo Dali Extra Grey. Comparing them with the Puffy grey, they are similar in size, but the Extra Grey are warmer in tone and lack the inner light brown ring. Here are all the lenses featured in this review. Clockwise from the top: Puffy Grey right side up, Glamor Grey, Puffy Grey upside down, Extra Grey. Comfort: 9/10 - No discomfort at all, but I can still feel them. TOTAL: 9.5/10 - Very lovely lenses, a great addition to my grey lens collection. Thank you LensVillage for the sponsorship! wow i used puffy 3 tone lens in colour brown, but these grey ones looks nice! 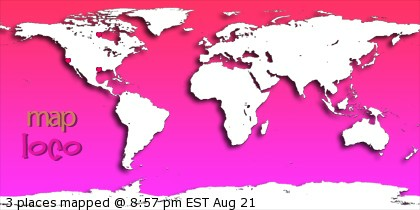 (: thanks for sharing! Ah! I just got these same lenses recently!! I love them! They're so pretty!! Are these the EOS lenses? wow! i really like puffy grey..